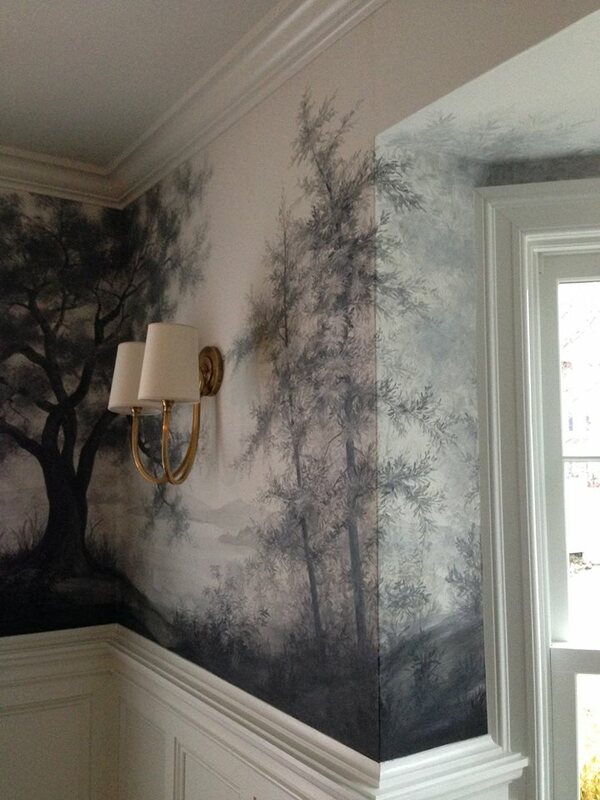 In the beginning there was a client longing to look at leafy trees with a modern twist. Wallpaper, however, wasn't an option, thanks to an unusually high chair rail and some awkward window cutouts. In the end, we decided on dark trees painted on a warm white background spanning two 5' x 18' canvases which would later be cut to the room's measurements. The trees are rendered in a charcoal grey to match the counter tops in a kitchen overlooking the dining room. 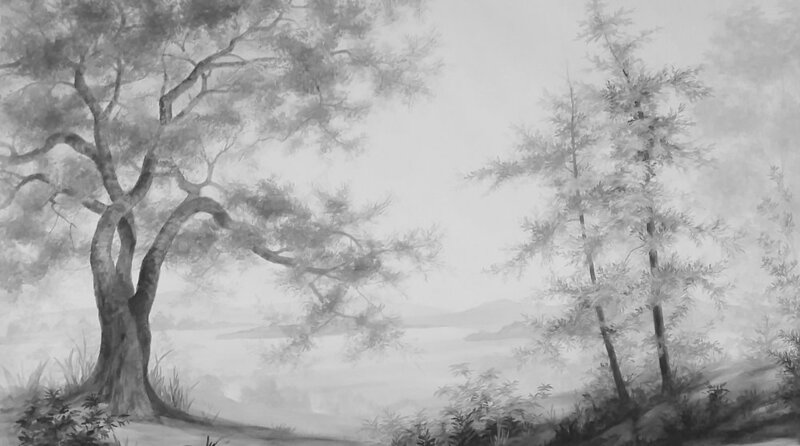 The height restrictions inspired me to feature fewer individual trees, and to approach each one as a portrait, celebrating each particular, gnarled personality.